From an automated pain detection system to an app that can help find people with dementia who wander off, the future of elder care may be high tech. An elder tech conference at Regina's Wascana Rehab Wednesday and Thursday brought together researchers from across Canada for demonstrations of new technology, . 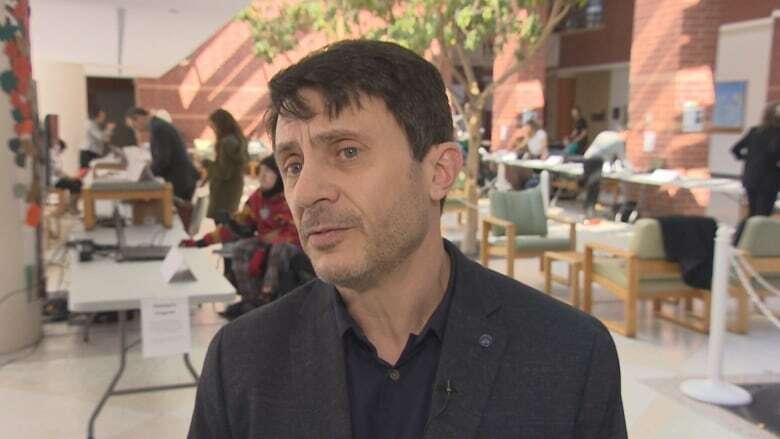 Thomas Hadjistavropoulos, director of the Centre on Aging and Health at the University of Regina, said he believes the solutions to diseases of old age, such as dementia, are more likely to come from engineering and technology development than from the health sciences. "Right now I don't believe we're anywhere close to finding a cure for dementia and Alzheimer's disease but we have technologies that can help people extend the years of their life that are good quality years," Hadjistavropoulos said. A national organization called the AGE-WELL Network hosted the event. The network is funded by the federal government and it's mandate is to create technologies and services that benefit older adults and caregivers. They're working with older adults to develop the technology, Hadjistavropoulos said. 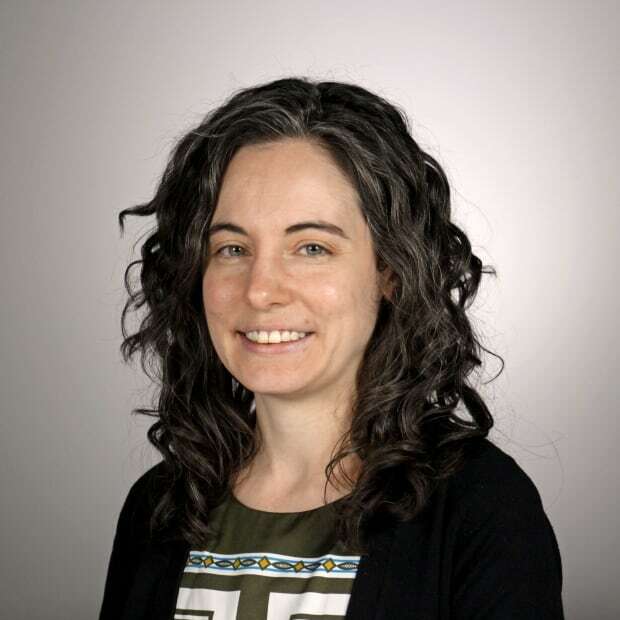 "They're the ones who tell us about the problems they're facing; we are proposing solutions to them and then we're modifying the solutions according to the input that they give us when the technology is developed." 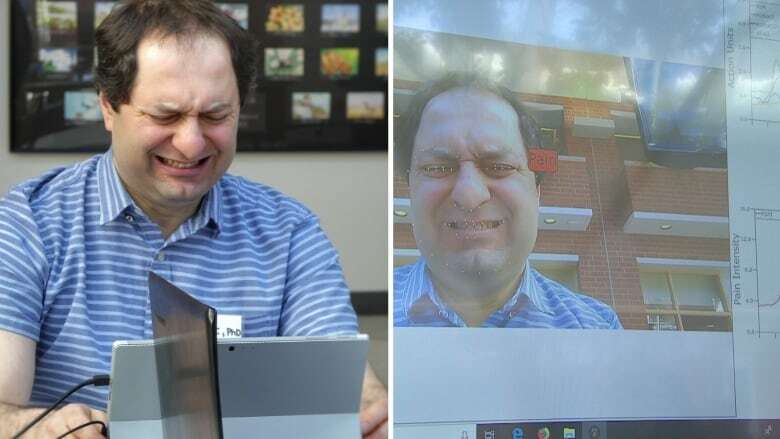 The automated pain detection system could help identify facial expressions in older adults with dementia, helping caregivers know whether they are in pain. Another technology demonstrated was intelligent lighting designed to prevent falls. The lights would allow people to see when they get out of bed at night but wouldn't be so bright that they interfere with circadian rhythms. Hadjistavropoulos said these technologies work even if the older adults using them aren't tech savvy. "Some of our technologies, such as home sensor technologies to detect falls, are fully automated and they don't require any use or involvement." One of the projects is an app that community volunteers can sign up for to receive alerts about older adults who may have wandered off. "It's difficult to tell when an older person is lost or needs help because they look like any citizen in the community," said Lili Lui, a presenter at the event and an occupational therapist from the Faculty of Rehabilitation Medicine at the University of Alberta. Another project demonstrated at the event were what Lui called "serious games." "We call them serious because there's a therapeutic value to these games." For people with dementia, a digital version of whack-a-mole can give caregivers a better sense of how the elder is doing based on their performance. While many of the seniors today might not be comfortable with technology, Liu said it's going to become more common as the next generation of seniors comes up.